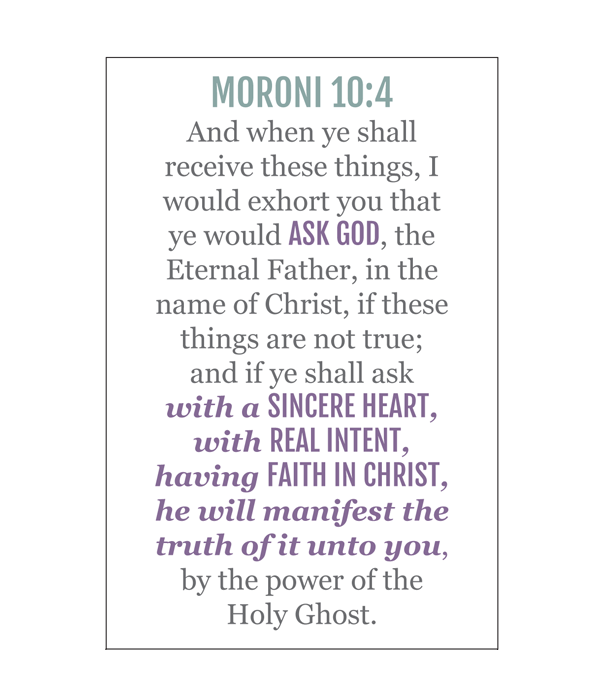 The first lesson in primary manual 4 is about the Book of Mormon and how it is a gift from our Heavenly Father. Since its the first lesson of the year I found it a great time to challenge the kids to read the entire Book of Mormon this year. I printed out THESE monthly reading schedules and gave the kids the January reading chart. We talked about what rewards they would receive for reading- a monthly treat and quarterly parties at my house. 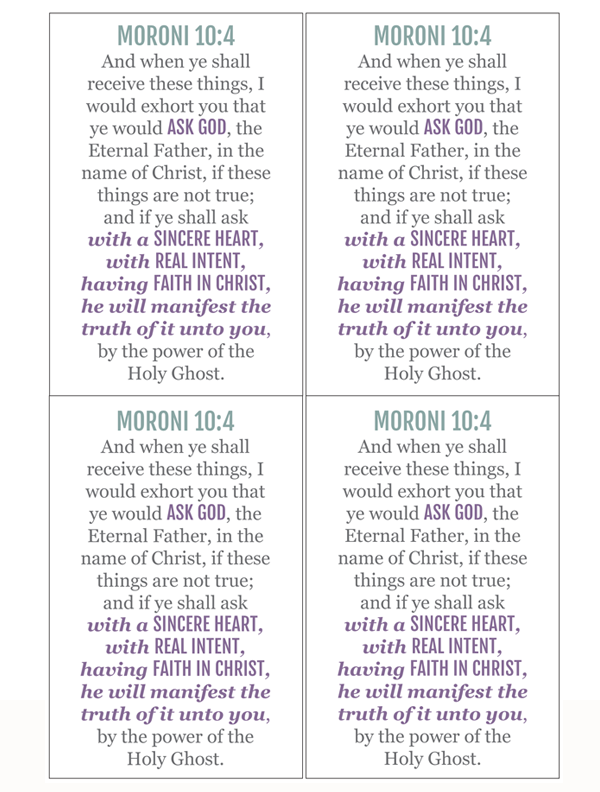 You can download the handout of Moroni 10:4 HERE, I also just copy and pasted an image of the book of mormon and did a double sided handout. I did not include the image handout because the file was being really strange. If I get a chance to correct the file I'll upload it.